Now that you're 22 weeks pregnant, baby-to-be has exciting new updates to share. Plus, it's time to start learning about cesarean sections and blood clots. Your baby's previously see-through skin will now become opaque. However, it will remain wrinkly, red, and covered in vernix until more fat helps to fill it out. Also this week, he's fine-tuning his sense of touch (thanks to maturing brain cells and nerve endings). Your baby may experiment with these newfound skills by feeling his face or anything else he can get his hands on. This week, your baby's eyebrows start growing and hair will start sprouting on the scalp, but this varies — your baby may grow a thick head of dark hair or he may enter the world bald. 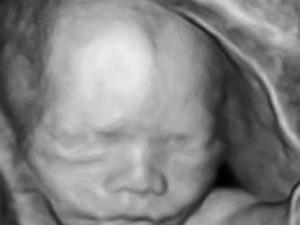 Here, the baby-to-be appears to be sleeping (babies in utero do have periods of sleeping and periods of activity). But his hearing and taste buds are also developing rapidly. He may even be making faces depending on how much he likes your music and food choices! Feeling dizzy? This is another normal pregnancy side effect, and it's due to the fact that your blood pressure has dropped. Your blood can't move as fast as it used to, so you may feel lightheaded when you stand up or after standing for a long period of time. You're probably enjoying the benefits of pregnancy hormones now in the form of thicker hair and stronger nails, but along with the gorgeous locks, you may start to notice a few unwanted hairs. Stick to plucking, waxing and shaving for removal — bleaches and depilatories contain unsafe chemicals. Tired of taking a back seat to your bump? The days of chatting about yourself or your favorite TV shows may seem long gone. Now all your friends want to talk about is your due date, the nursery, and baby names. If you're sick of dishing about your pregnancy, have a few hot conversation topics ready for your next dinner party. It's Week 22 and you've been pregnant for a while—you're over the hump, but you still have a trimester and a third to go. While pregnancy is a time for glowing, planning and getting excited for the baby-­to-­be, it can sometimes be a bummer: Sleepless nights trying to stay in the "right" position (Why is it that you always loved sleeping on your left side until now, when you're supposed to??? ), heartburn, a general sense of anxiety you can't shake, mood swings. Sometimes pregnancy blows—and it's OK to recognize that. Today we'll talk about why you really don't have to LOVE being pregnant all the time. Embrace your changing body, Mama-to-be, with this list of reasons to love your new bosom. 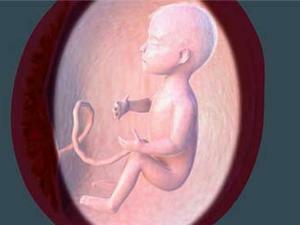 What's going on with your baby at 22 weeks? 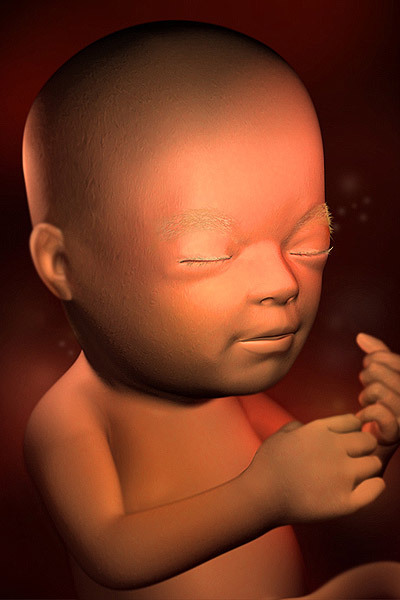 Find out all about important pregnancy milestones and exciting fetal development specific to this week! Find out what's going on in week 22 of your pregnancy on this podcast episode of Pregnancy Confidential.